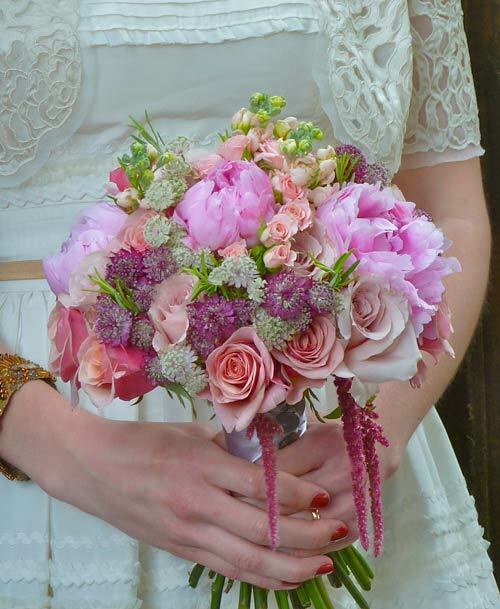 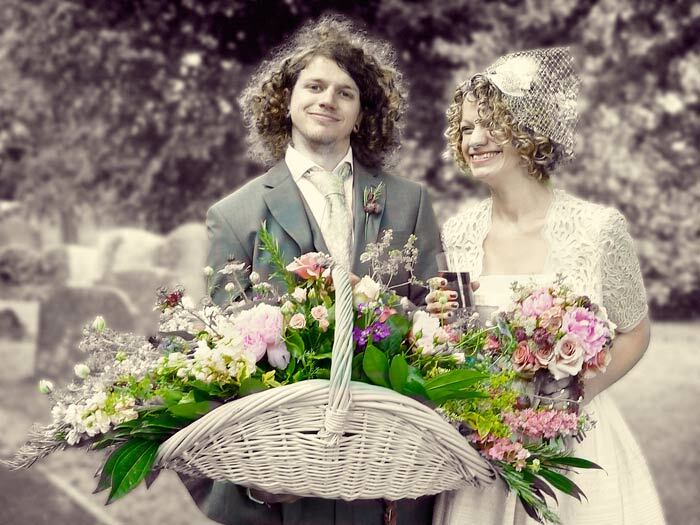 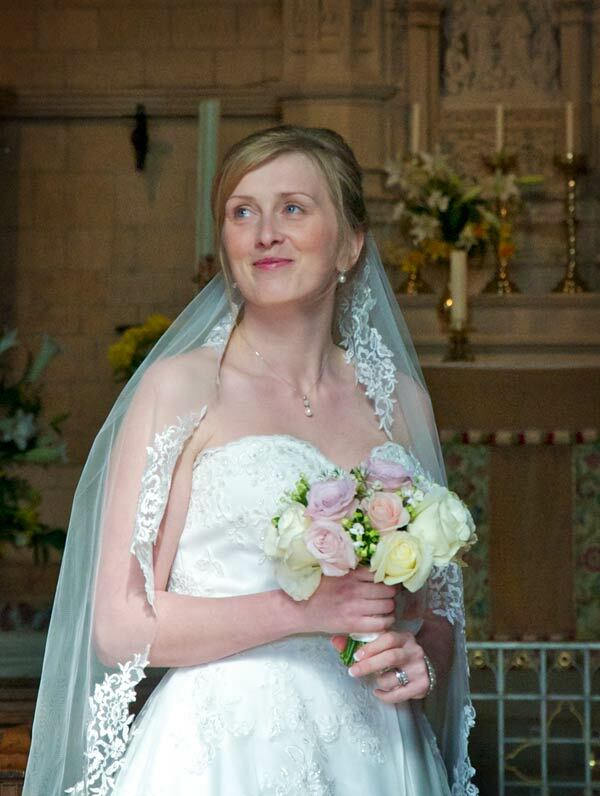 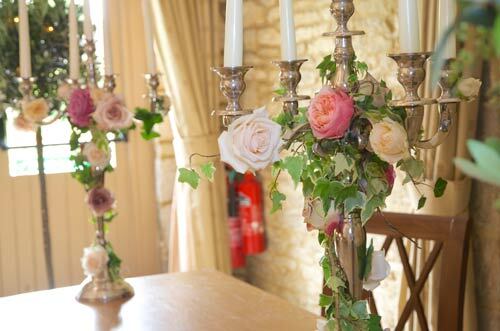 For beautiful Vintage Wedding Flowers for your day, choose Rose and Grace as your florist. 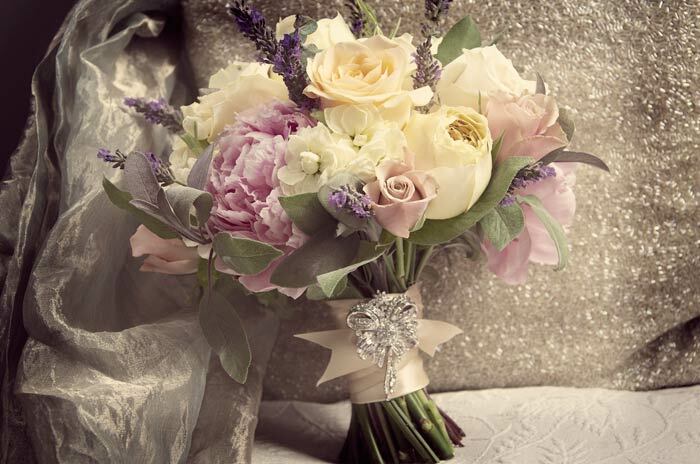 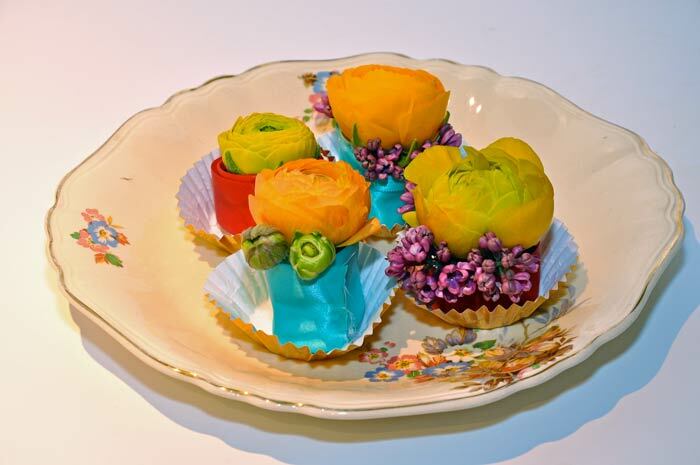 Vintage flowers are so popular at the moment - and rightly so. 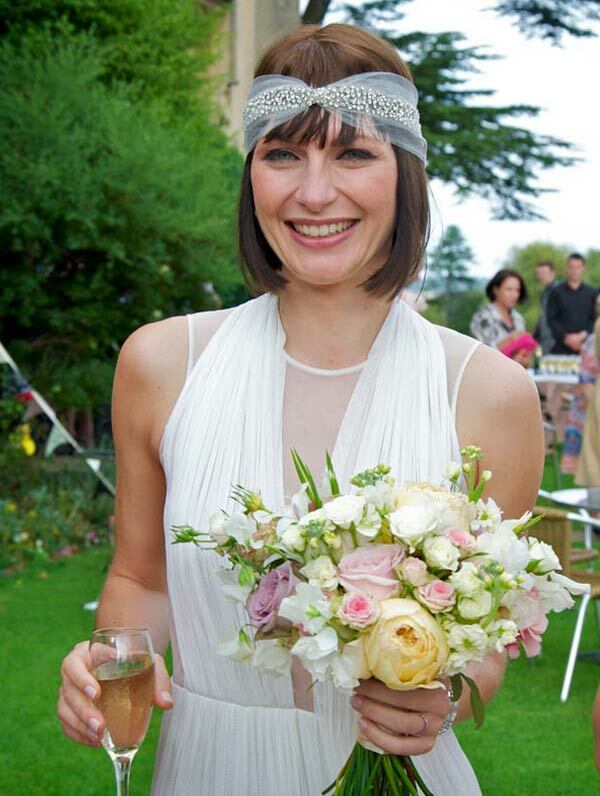 Beautiful examples abound in specialist magazines and at Britain's most stylish events. 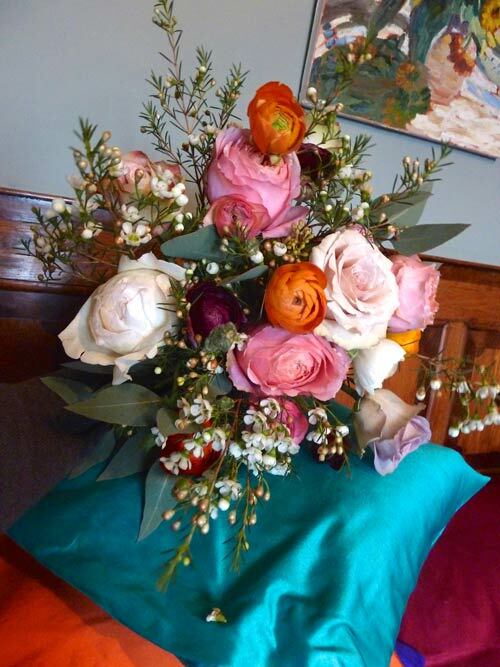 Rose and Grace have been at the front of this trend, showing many different ways that can be used to interpret the wide theme. 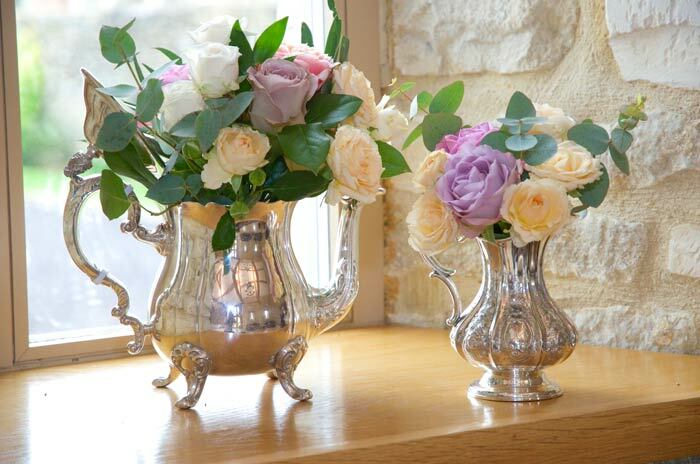 Inspiration for Vintage flowers can vary from softly faded blooms with simple country flower arrangements, grand shabby chic urns overflowing with richly blousy summer flowers, through to bold retro styles with bright highlights. 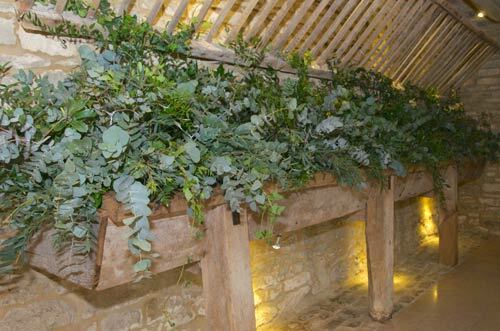 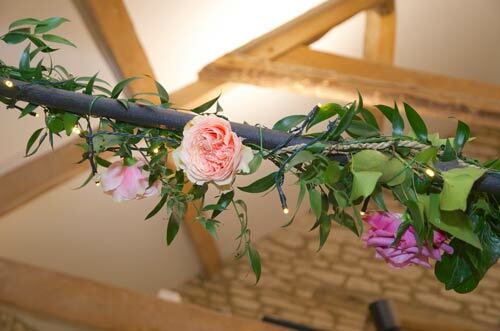 It is easy to imagine a setting in an ancient old barn, a marquee in a field or a country house. 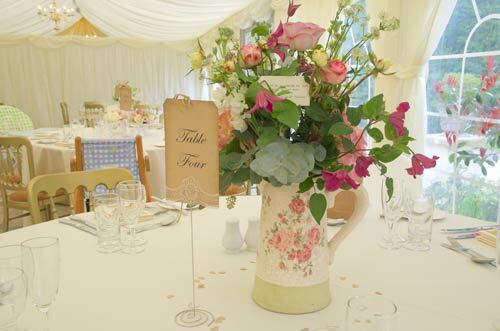 A beautiful vintage wedding theme can capture all that is best about your most special day. 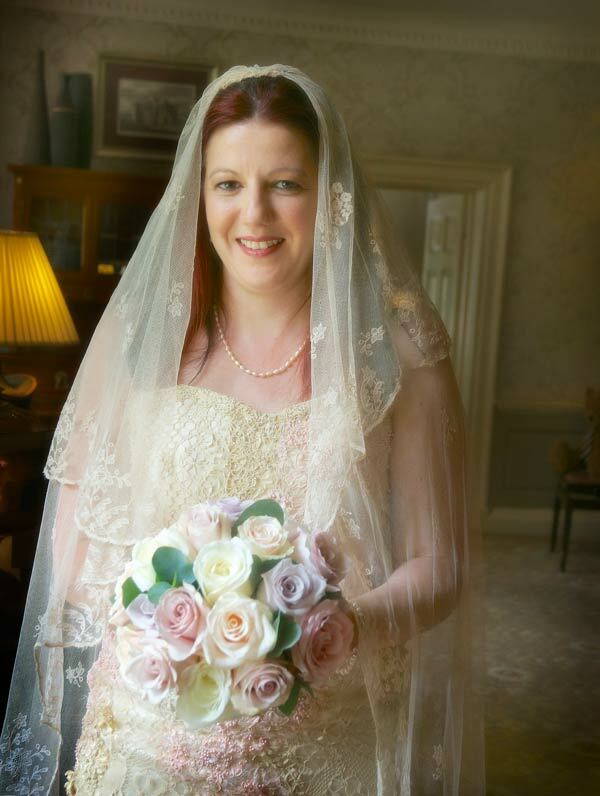 "Thanks again for the wonderful work you did for us, all the flowers were beautiful and really added to our absolutely perfect day." 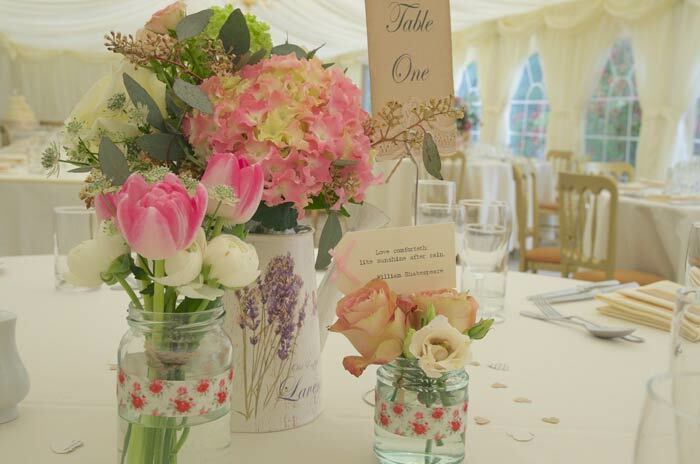 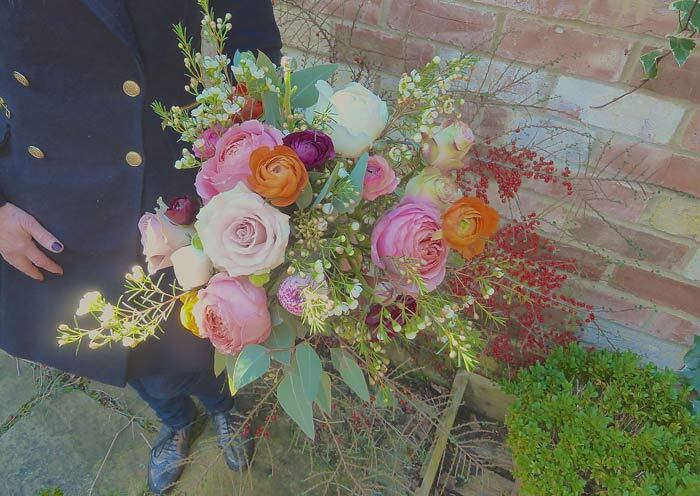 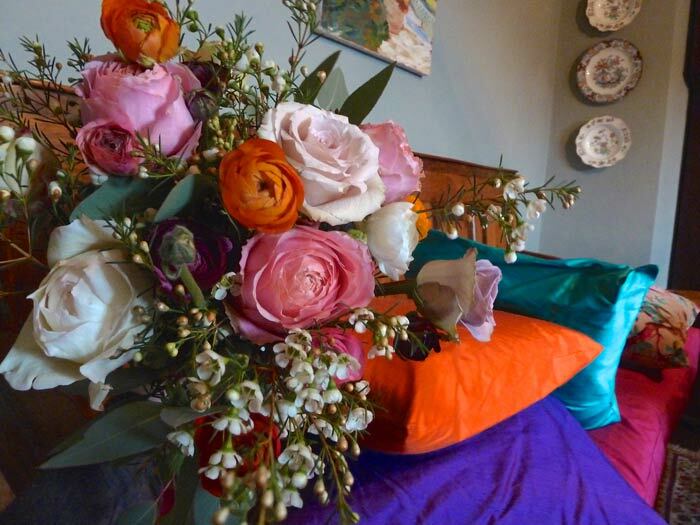 Being highly experienced, trained in floristry with a background in fashion design, Catherine Young of Rose and Grace, knows how to blend flowers and colours and form to create a stunning Vintage effect. 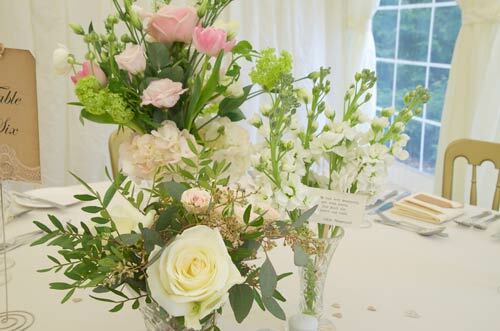 Classically, timeless wedding flowers need a blend of subtly changing colours to evoke a mood of tradition and contemporary grace. 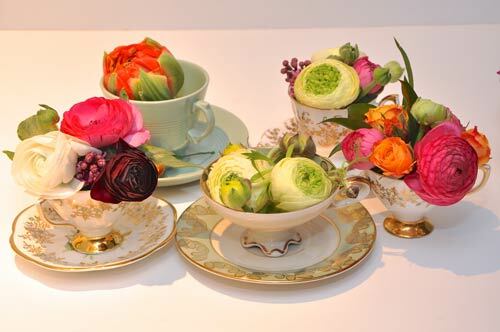 The ability to realise how to blend shades of flower petals and foliage is an art that Catherine Young knows how to achieve. 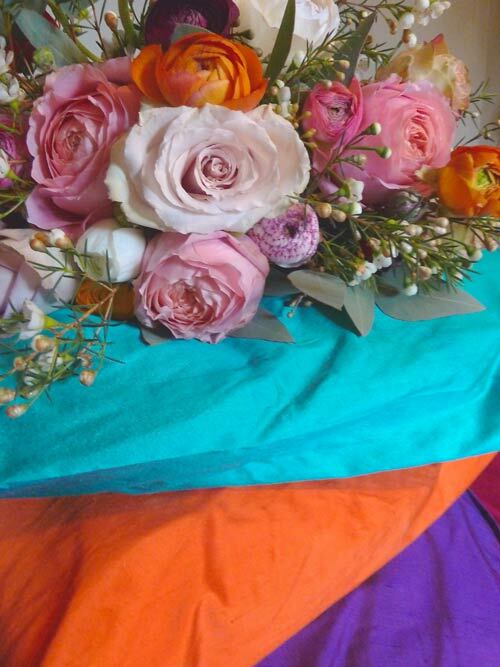 Of course, there is no need to have everything matching down to the last detail. 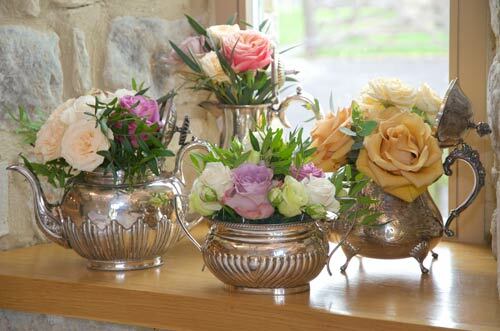 Mix and match flowers and containers for your own unique take on life and let your wedding flowers take on a relaxed, informality that seduces your guests into an enjoyable and highly memorable day. 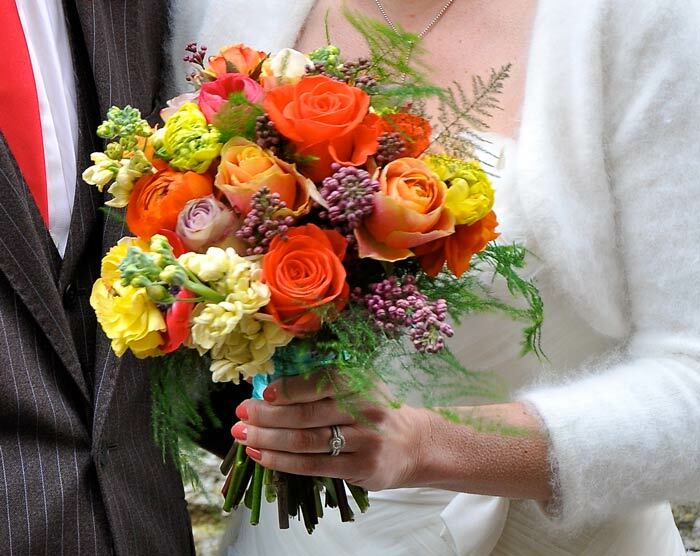 The first impression can be bold and bright or soft and subtle. 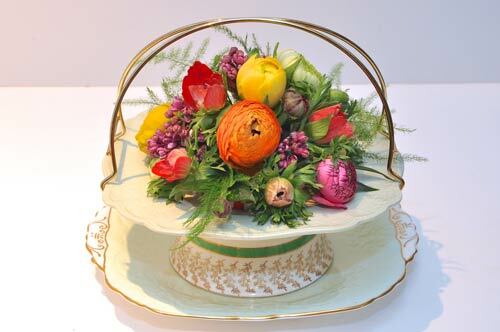 It can be more country-style or country-house style. 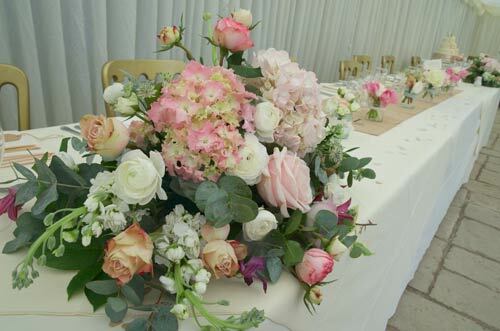 Whatever the feel that you would like, it can be arranged with the overlaying feel of "Vintage" to give your wedding flowers a lasting impression both to you and your guests. 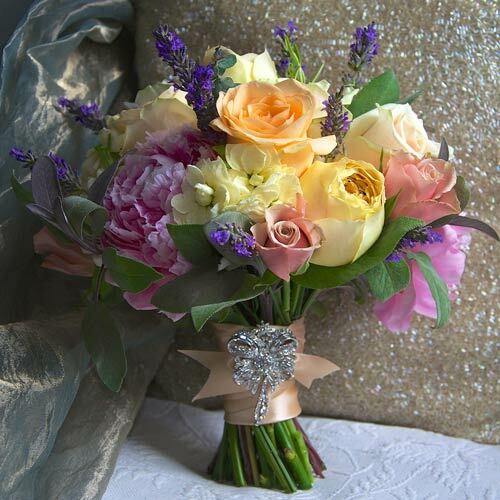 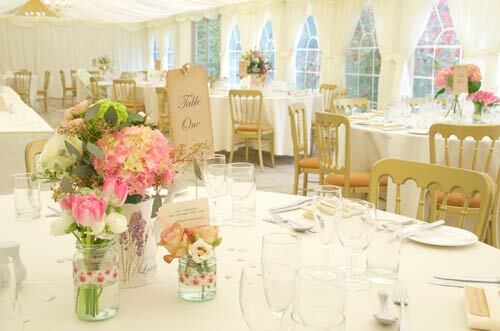 Or alternatively, complete our simple contact form to discuss your ideas for your special day.